A refreshing and delicious Apple Jack cocktail named in bad French. Right click and save the image to import into Highball. Combine ingredients in a shaker with ice to chill. Shake gently. 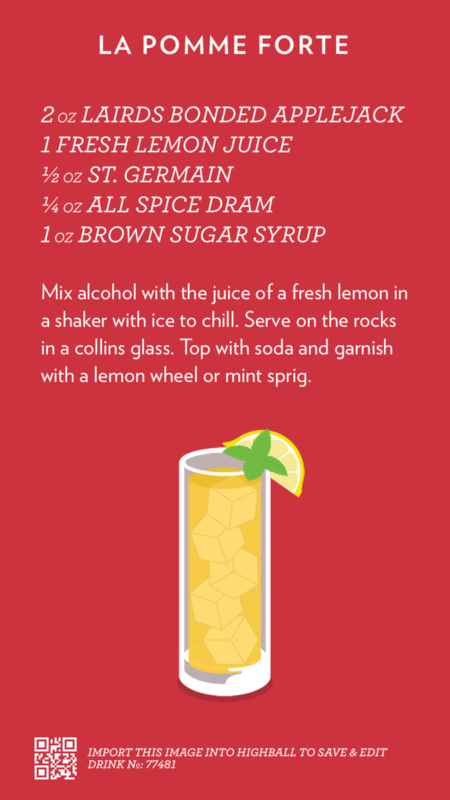 Serve on the rocks in a collins glass. Top with soda. Garnish with a lemon wheel or a sprig of mint.